So in case you are missing one of them you have the chance to acquire them now. Or if you already have them, there is your chance to easily promote them without spending that much money. 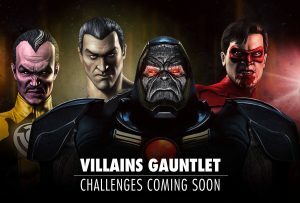 Do you like the choice of villains for this gauntlet? Who is your favorite? Let us know in the comment below. 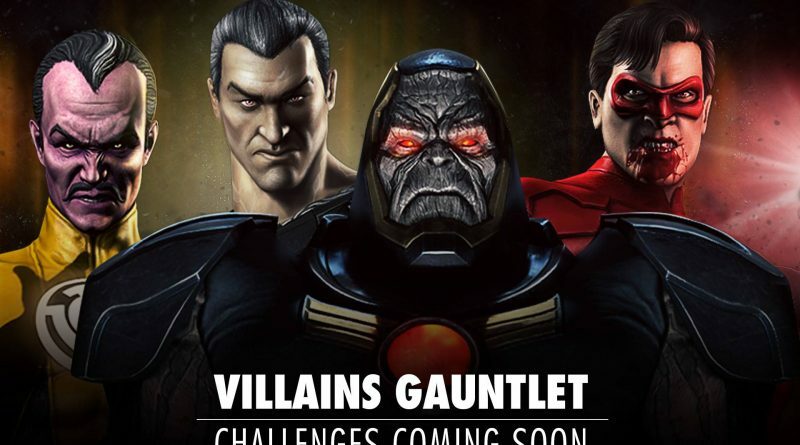 It looks as if Netherrealm Studio is replacing Apokolips Darkseid with Bounty Hunter Lobo. Or may be Darkseid is coming after Lobo. We will keep you informed. It looks like there was a problem on Netherrealm Studio’s side and Bounty Hunter Lobo was activated as a mistake. 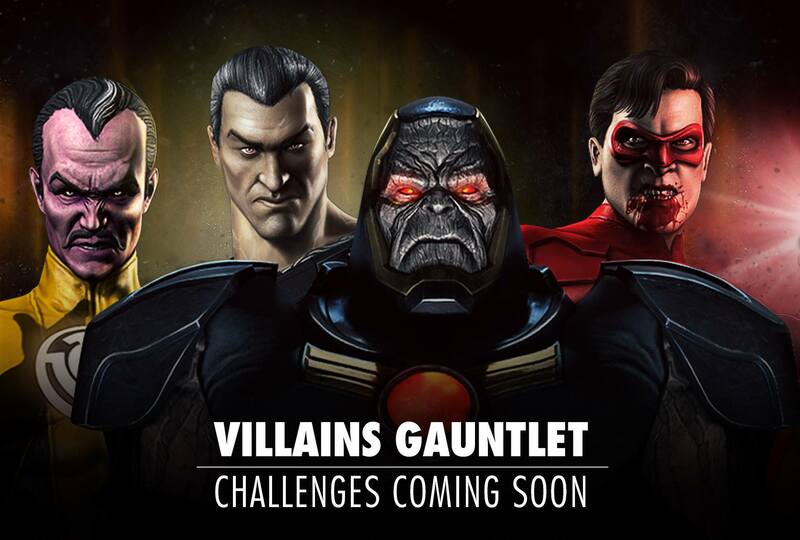 The problem was apparently fixed and now the Apokolips Darkseid single player challenge is available as it was initially planned. Fortunately some users were also able to complete the Bounty Hunter Lobo challenge. Unfortunately others were in the middle of the challenge or at its end when it disappeared, totally negating their progress. Another negative aspect is that the Bounty Hunter Lobo challenge stole part of the time of the Apokolips Darkseid challenge. Currently there is no official statement from the developer regarding the problem. What just happened? The Lobo Bounty Hunter Challenge just started not Apokolips Darkseid Challange!! I wanted Apokolips Darkseid! Not right. I suppose they decided to change the challenges. There is unfortunately no official statement from the developer at the moment.